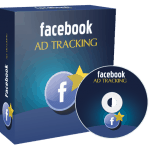 10-Day Marketing Predictions and Trends 2019 PLR ECourse ready to be used for list building, autoresponder emails and training your subscribers. As you just already know, The Marketing Predictions and Trends is evergreen and extremely profitable, so building your Marketing Predictions and Trends email list, and training your customers while monetizing your emails is the best way to make money with this Marketing Predictions and Trends PLR newsletter emails. This is a complete ecourse consisting of Marketing Predictions and Trends emails messages with private label rights to help train your customers on Marketing Predictions and Trends . 6. 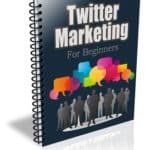 Twitter for business – is it still relevant? Hello, and welcome to your marketing trends eCourse. We hope it will inspire you and help you to make 2019 your most profitable year yet. The trouble with online marketing is that it’s always changing, so much so that it’s hard to keep up. There’s always so much to do as well. 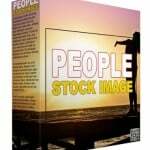 How do you know what will really work, and what might be a waste of time and money? Fortunately, some marketing methods have withstood the test of time and demonstrated that they can give users real results. 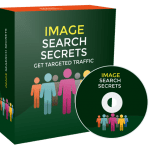 In this course, we will be looking at nine of them in detail, and we will also suggest marketing tools that will help you grow your business in 2019. 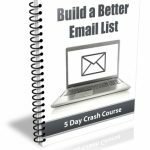 Let’s start with our old favorite, email marketing. After more than 20 years, certain email marketing practices stand out as the most successful. And if you think email marketing is dead, you’re listening to the wrong marketing gurus. Email marketing is alive and well and still converting prospects into customers like crazy – as long as you understand what your audience wants and needs. Email marketing spending in the US is predicted to rise to more than $3 billion in 2019. Statistics show that for every $1 you spend on email marketing, you can expect an average return of $38. Around 66% of users make a purchase after receiving an email, compared with only 20% for Facebook and 6% for Twitter. Around 50% of Pinterest users make a purchase of something they have seen on the site. Email is also one of the most powerful tools for retaining customers. People access it from anywhere, including mobile phones, with more than half opening plain text emails to see what’s new. Short emails of no more than 125 words work best. In terms of technology, some companies report high success rates with interactive emails that are similar to their actual website. Having said that, some spam filters are still sensitive about images being sent via email, which is why plain text is more deliverable. Personalization can boost clicks and conversions by around 10% and improve relationships with your customers. Having said that, you need to move beyond the usual “first_name” tokens to tagging users based on their interests. Surveys can help. So can greater segmentation. If you have really large email lists, next time you prune the “dead wood”, separate them out into one or more segmented lists and tag them using your email marketing platform technology. Ask them for more information as well, such as zip code or whatever else would be useful to know about your prospects to help you sell to them better. The technology is improving all the time; it’s just a case of using it. Weed out old content and add new emails to the series, for more contact points with your prospects and more links to relevant products they might be interested in. In the next email, we will look at best practices related to video. 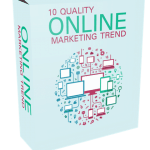 Why Purchase This 10-Day Marketing Predictions and Trends PLR eCourse From BuyQualityPLR.com? 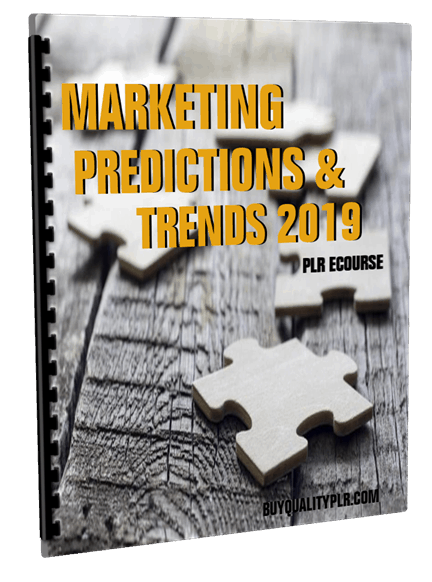 We will only be selling 50 copies of this Marketing Predictions and Trends, so don’t waste any time and grab your PLR license while it’s still available for sale.